Recognized in the industry for his keen business sense and political knowledge, Mr. Olson has advised many clients through challenging management transitions. Over the past 20 years, he has completed in excess of 500 successful searches for a wide range of Fortune 500 companies, associations and non-profit organizations. Mr. Olson’s executive search and board assignments span the United States, Europe, Asia and Latin America, and lie across multiple industries, including financial services, technology, consumer, industrial and healthcare. Recent board assignments include American International Group, GMAC, The Carlyle Group, Lockheed Martin, NewsCorp, The Travelers Companies, Tyco Electronics, Tyco International and ING Direct. Recent CEO level assignments include Sallie Mae, Commissioner of the NFL and the Federal Reserve Banks of New York and Boston. 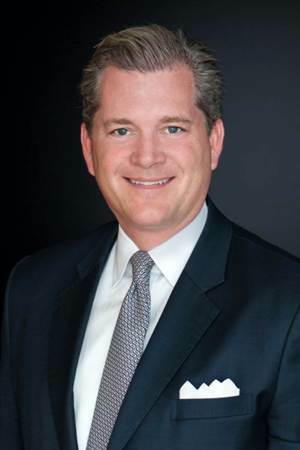 Mr. Olson joined Korn/Ferry in 1993 after a successful career in public relations and government service. Prior to joining the Firm, he was with the public relations firm Fleishman-Hillard, Inc. Preceding this, Mr. Olson gained experience in executive search when he was on the staff of the White House in the Office of Presidential Personnel. In this capacity, he identified and recommended candidates for senior political positions in cabinet agencies and was responsible for the political clearance for all Presidential appointees. Mr. Olson is a board member of the Meridian International Center and the Wolf Trap Foundation for the Performing Arts, a Trustee for the Committee for Economic Development and a member of the Federal City Council and The Economic Club of Washington, D.C.
Mr. Olson earned a bachelor of arts in political science from the State University of New York and a master’s in business administration from The George Washington University.